There are two things you can rely on when it comes to dental emergencies: 1) They never happen at a convenient time. 2) They might feel overwhelming, and even frightening. The good news is that with the right team on your side, you can trust that everything will be all right. Dr. Travis Rottman and his team at Sachse Family Dentistry are here to help! We’re happy to provide you with instruction over the phone, or see you the same day if necessary. Meanwhile, your situation won’t feel as stressful if you understand how to handle a dental emergency, so here are a few helpful tips. If your tooth has been knocked out, it’s important to get to Sachse Family Dentistry right away. This is because Dr. Rottman has the best chance of saving your tooth if he sees you within the first 90 minutes of your accident or injury. Be careful when transporting your tooth to our office. Try not to handle it too much. Place it back into its socket if possible. If you can’t do that, use milk to help keep the cells moist and alive. If you have an old filling or crown that fractures or falls out, your tooth will need repair in order to avoid further damage. Contact your emergency dentist in Sachse so we can determine if your tooth needs immediate attention, or if we can schedule an appointment for you in the future. If your tongue, cheek, gums, or other soft tissues sustain an injury, there tends to be a lot of blood. The first thing for you to do is to stop the bleeding with light pressure and a cold compress. Next, give us a call for further instruction, we can help determine if you need to be seen or not. 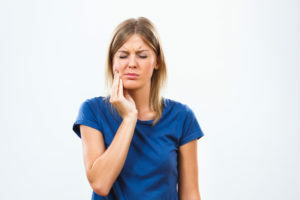 If you have a constant or severe toothache, this could be indicating an infection in your tooth. Please don’t wait to see if this gets better on its own. Dental infections will not go away without treatment; in fact they will get progressively worse and more painful. If you’re proactive about contacting your dentist in Sachse right away, root canal therapy may be able to preserve your tooth and relieve your pain. If you or loved one is experiencing a dental emergency, don’t hesitate to call us right away! Even if you’re unsure it’s an emergency, call us anyway. We’ll help you determine your next step and get you back on the path to wellness in no time.